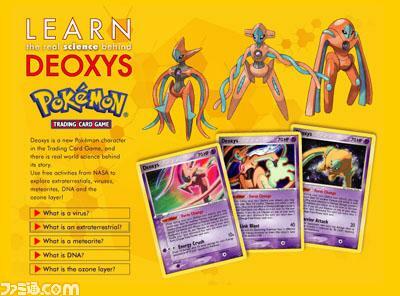 Pokemon Trading Card Game and NASA Langley Center for Distance Learning have partnered to bring you these resources designed to use kids' hobbies to teach real world science. NASA does not endorse the Pokemon Trading Card Game, movie, characters, or related items. (c) 2005 Pokemon. (c) 1995-2005 Nintendo/Creatures Inc./GAME FREAK inc. TM and R are trademarks of Nintendo.